Posted on 1, March 2018 by EuropaWire PR Editors | This entry was posted in Denmark, Food & Beverage, Germany, Management and tagged appointment, Arla Foods, FOOD, food service, leadership, Management, Markus Mühleisen, Peter Giørtz-Carlsen, Winfried Meier. Bookmark the permalink. Viby J, Denmark, 01-Mar-2018 — /EuropaWire/ — Markus Mühleisen will become Arla Foods’ new Head of Germany as of March 1st 2018. As Managing Director and Group Vice-President Germany, he will be responsible for Arla Foods’ business in Germany and Austria. He will report to Peter Giørtz-Carlsen, Executive Vice-President and Head of Europe at Arla Foods. Markus Mühleisen succeeds Winfried Meier. He will be leaving Arla Foods at the end of April 2018. This is a joint decision taken by Winfried Meier and Arla Foods. Until his departure, Winfried Meier will support Markus Mühleisen to ensure a smooth transition. 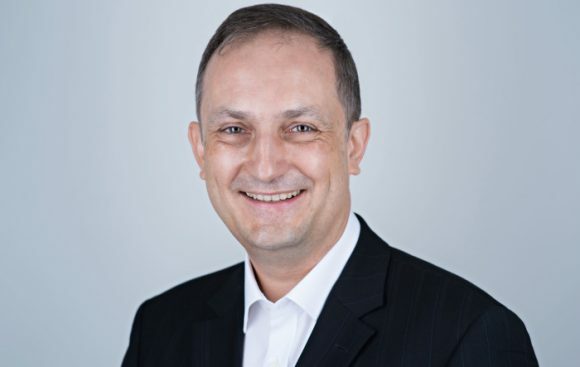 “With Markus Mühleisen, we will get a seasoned Managing Director onboard, who has led big food brands and teams to success both in Germany and internationally. Markus is a well-versed, culturally astute leader with an impeccable track-record in driving top and bottom line growth in challenging environments. He is perfectly suited to successfully advance our Good Growth Strategy 2020 in Germany,” says Peter Giørtz-Carlsen. “We want to further accelerate our brand growth in Germany and expand the export business. In doing so, we rely on our strong portfolio of global and local brands and even more intensive cooperation with our retail customers and consumers,” says Peter Giørtz-Carlsen. For the past eleven years, Markus Mühleisen has held various international management positions with the food group General Mills (including Häagen-Dazs and Knack & Back), most recently as Managing Director for Northern Europe. In this role, he was responsible for the company’s business in the United Kingdom, Germany and Ireland. Before that he was Managing Director of the business in Australia, New Zealand and the South Pacific region. Prior to joining General Mills, the graduate economist spent eight years in numerous management positions at Nestlé Cereals in Frankfurt and Asia. “I want to take this opportunity to thank Winfried Meier for his considerable contribution to both Arla Foods and, prior to that, MUH (Milch Union Hocheifel). In the merger of MUH and Arla Foods, Winfried was a key actor in the successful integration of the two companies. More broadly his deep industry knowledge, his strong values and extraordinary energy have been essential to transform the business to where we are now, paving the way to ensure we continue to be successful in the future. So now is the right time for transition,” says Peter Giørtz-Carlsen. Arla Foods’ retail and foodservice revenue in Germany was 1.29 billion euro in 2017. Arla Foods is an international dairy company owned by 11.200 farmers from Denmark, Sweden, the UK, Germany, Belgium, Luxemburg and the Netherlands. Arla Foods is one of the strongest players in the international dairy arena, with a wide range of dairy products of highest quality. Well-known brands like Arla®, Lurpak® and Castello® belong to the Arla family. Arla Foods is also the world’s largest manufacturer of organic dairy products.